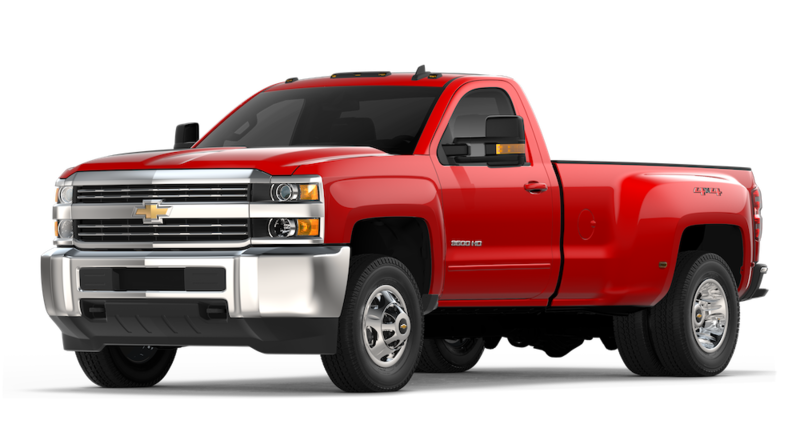 Chevrolet Silverado is a name synonymous with power, strength, and hard work. Able to handle any task you can throw at it, the 2018 Chevrolet Silverado was designed to be a true workhorse, no matter what it is trying to accomplish. With ample cargo space in the bed as well as in console and seating areas, as well as smartly organized storage inside, the Silverado 2018 can carry it all. Towing capabilities are monstrous, and the powertrain combinations give the Silverado the power it needs, where and when it needs it, to be able to carry a lot of weight and not get slowed down. The 2018 Silverado 3500HD can tackle all this and more. New updates for 2018 include a restyled exterior that increases the aerodynamics, new, larger chrome wheels and a front grille update that gives the Silverado even bolder presence on the road. Newly added backup camera on all models that have a cargo box. New tire pressure monitoring system to alert that tires are full while they are being filled. This helps to avoid over or under-filling. Teen Driver Mode – Chevrolet’s mode control driver assistance technology for parents of young drivers that increases safety and creates an onboard report card to help parents address any teen driving issues. Safety alert driver’s seat that alerts drivers with gentle vibrations of a lane departure or when other safety alerts are activated. A trailer camera system that includes cameras that are installed on side mirrors and is navigated from the Silverado’s infotainment screen. Forward-collision warnings, front parking sensors, lane departure warnings, and rear parking sensors are also included in the safety tech suite on the 2018 Chevrolet Silverado 3500HD. Whether you are towing work equipment or serious recreational gear, Chevrolet has designed the 2018 Silverado with you, and your passengers’ safety in mind. Each design element and safety feature, both active and passive, are specially suited to the tough truck duties of the Silverado, allowing you to drive more confidently on the road. New for 2018, the entry-level Silverado now comes standard with a 7-inch touchscreen. Up to four available USB ports and four 12-volt outlets for on-the-go charging, make this truck the best in its class for charging options. Additional infotainment upgrades include a wireless charging pad, Bose audio sound system, or an 8-inch gauge-cluster display to even further enhance the look of the Silverado’s modern interior. Further tech options are available on several of the Silverado trims. By customizing the trim and tech you choose, you can truly get the exact Chevrolet Silverado you want. Whether you drive a Silverado for work or for play, its impressive technology options will get you where you want to go with smart, user-centric interfaces and all the connectivity you could ask for in a heavy-duty pickup truck. Even the exterior design of the 2018 Chevrolet Silverado 3500HD was created to make this powerhouse of a truck perform better with more sleek and aerodynamic lines than previous models. For 2018, the Silverado 3500HD has a new double-cab model design that incorporates front-hinged rear doors so that drivers can have much easier access to the rear seat than in previous Silverado 3500 models. On the interior, the new design also makes for a more passenger-friendly experience overall with its newly designed larger doors, combined seating areas, and more ample legroom. To further enhance the Silverado’s revamped interior, drivers can choose from a variety of interior colors and color combinations. These include Cocoa with Dune accents or the always safe all Jet Black. Choosing the highest trim level will also get you the Saddle or Jet Black with Medium Ash Gray accents as color options. The 2018 Chevrolet Silverado 3500HD is available in four trims; the Work Truck, the LT, the LTZ, and the High Country. Each trim brings its own special performance, style, function, and technology additions to the base model Silverado 3500HD. One thing that can always be said for the Silverado is that every design detail is not just to make it look tough, it’s to make it work tough. And when it comes to driving, the Silverado HD outperforms almost every other heavy-duty truck in its class. Its powertrain combinations allow this truck to pull serious weight while still remaining fuel-efficient and effective on the road. It’s a performance pickup in a class all of its own. Even for the lowest trim level, the 2018 Chevrolet Silverado 3500HD offers a variety of bright, eye-catching colors. Among the brightest of exterior color options are Tangier Orange, Wheatland Yellow, Red Hot, and Woodland Green. Upgrading to the LT trim, or higher adds the Cajun Red Tintcoat and Iridescent Pearl Tricoat as color options. When it comes to cargo, there’s no limit to what and how you can use the ample storage space on board the 2018 Chevrolet Silverado 3500HD. For 2018, the Silverado is available in three different cab configurations and two truck bed lengths. Visit Carl Black Chevrolet in Nashville! 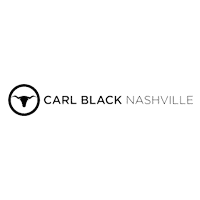 Here at Carl Black Nashville, we do business based on our strong code of ethics. Because our whole team operates from the same perspective of wanting to give our customers a first-rate customer service experience, we are able to offer a stress-free car buying experience. Our inventory here at Carl Black Nashville is impressive and includes a large selection of new and pre-owned vehicles that is sure to include the perfect vehicle for you. Once you decide on a vehicle, our team of finance experts are ready to help you secure a lease or loan that fits your budget and credit situation. If you have less than perfect credit, don’t worry. Carl Black Nashville will work with you to secure the financing you need to start driving the new or used car, truck, or SUV that you need today. Our customers are important to us. That’s why we’ve been a valued member of the Nashville and surrounding area community for many years. Visit us online to check out inventory or view our current discounts and incentives – you can even pre-qualify for financing. When you’re ready, stop by and see us in person to get started finding your dream ride today!